Sophie Jordan grew up in the Texas hill country where she wove fantasies of dragons, warriors, and princesses. 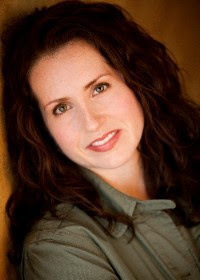 A former high school English teacher, she’s also the New York Times and USA Today bestselling author of Avon historical romances. She now lives in Houston with her family. When she’s not writing, she spends her time overloading on caffeine (lattes and Diet Cherry Coke preferred), talking plotlines with anyone who will listen (including her kids), and cramming her DVR with true-crime and reality-TV shows. Could you tell us about your path to writing for teen readers? What were the ah-ha! moments, victories and challenges along the way? I had countless rejections before I landed my agent, and then, ultimately, my first book contract. Until then, the only thing that kept me going was sheer determination, the support of family and friends, and the belief that I had a unique writer’s voice. While getting published was the first great victory, each book is its own challenge. You start over every time (even if you’re already published). One of my first a-ha moments was allowing myself to just write the book. Get the first draft out. Later you can fix it and polish it. Allowing myself to write something less than perfect and adjusting my expectations was liberating. It let my writing flow. A first draft is just that — a first draft. It’s never perfect. The fun part is polishing that draft and making it shine. Congratulations on the success of Firelight (Harper, 2010)! Could you tell us about the novel? Forced to flee into the mortal world with her family, Jacinda struggles to adapt to her new surroundings. The only bright light is Will. Gorgeous, elusive Will who stirs her inner draki to life. Although she is irresistibly drawn to him, Jacinda knows Will’s dark secret: He and his family are hunters. She should avoid him at all costs. But her inner draki is slowly slipping away—if it dies she will be left as a human forever. She’ll do anything to prevent that. Even if it means getting closer to her most dangerous enemy. Well, I first got turned onto YA by reading some really marvelous YA books. Snap! Just like that I was hooked and inspired to write YA. But it took a while for the idea of Firelight to come together. I was thinking of paranormal creatures, and when I landed on dragons, it just triggered something. Other than fantasy, I couldn’t think of any “dragon” books grounded within a contemporary setting. I started wondering what if dragons had been real… Where did they go? What happened to them? All those questions led me to create the lore of Firelight. With this lore, Jacinda’s story was born — a girl who looked human but wasn’t. A girl who was a dragon at the core…who could shape-shift, fly and breathe fire. Spark and publication? I love that! Hmm, the first spark came when I fell in love with YA and decided I wanted to write a YA (as mentioned above). Then the idea for Firelight itself didn’t come until almost eight months later. I was really waiting for the right idea. Sometimes the muse doesn’t come right away. Of course I’d been writing as a career for a while now, so I was waiting for a really good concept — something not only I would love, but publishers, too. Once I had the idea, things moved pretty quickly. I already had an agent, so I drafted a proposal (synopsis, plus three chapters) and showed it to her. We went back and forth on it for a couple weeks, and then I submitted it to HarperTeen. They came back with an offer within a week or two. All very quickly and very exciting! 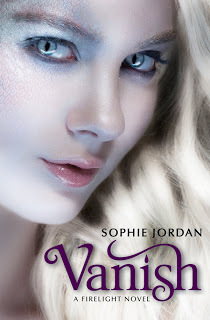 Hooray for the release of Vanish (Harper, 2011)! How is it related to Firelight? Well, it’s the sequel to Firelight. I definitely suggest you read Firelight before Vanish. Where Firelight largely took place in the human world, with Jacinda acclimating to the life of a “normal” high school girl, Vanish takes place back in her pride, in the world of the draki. It continues her story – with more action, adventure and, you guessed it! Kissing. Rumor has it, you have some exciting movie news! Please fill us in! Yes! Mandalay Pictures has optioned the film rights to Firelight. They’ve also hired screenwriter Nick Pustay to pen the screenplay, which is almost complete. Hopefully, there will be more news to announce this year. You also publish books for grown-ups! How is it different writing for teen (versus adult) readers? Honestly, not that different. For me every story is character-focused. In that regard each book is different because every character I write is unique. So every time I sit down to write a new book it’s a fresh adventure for me. What, if anything, about it came as a surprise to you? Hm… Probably how quickly it got snatched up for film adaption! Also…the teen/YA readers are amazing. They hold nothing back. Their response has been overwhelming and humbling. What advice do you have for your fellow fantasy writers? Think out of the box! If no one else is doing it, then maybe you should! Hidden releases this September. It’s the final book in the Firelight trilogy…and there are definitely some surprises and twists that readers won’t see coming. directly with “Firelight,” “Vanish” or “Firelight/Vanish,” if you’re open to winning both, in the subject line. Author-sponsored. Eligibility: U.S. Deadline: midnight CST March 5. How exciting to see this interview with Sophie Jordan! I read Firelight and need to pick up Vanish. And how cool that Firelight has been optioned! Yay! Can't wait for Hidden to come out! I love reading all your books! Thank you so much for letting me escape from this world into your world of books!!! I can wait for the release of Hidden! I've beeen waiting sooooo long for it! I don't even have the first two books but, they are my favorite books! please please please! I can wait for Hidden to come out! I have read the first two books and they are my absolute favorite books and, I don't even own them! How cool would it be to get a signed copy!? Please! I loved both of them..got them both from the library.. Thanks. Great post. Hadn't heard of this author. Would be interested in both books. great interview sophie,,i cant wait to read hidden..
thanks for the giveaway,,i hope i win this book.. I can't believe I haven't even heard of this series before today, I would love to read a copy! The first book Firelight was such a page turner for me. I'm getting ready to read Vanished. I wish that one day you'd come to the far west to do a presentation or as part of an event. Books like these are true gifts. I got turned on to your blog through The Bookshelf Muse, and you have a great site. I've just started my own blog on writing recently and am always looking for inspiration. Thanks for providing that. I know I'll be back regularly! Awesome post, especially the visuals! So pretty. I own Firelight, though I've only read a bit of it, and would love a copy of Vanish if I won. Great interview. Such good advice to think outside the box with fantasy. I loved Firelight and it ended with such a cliffhanger. I'd love to win Vanish. Thanks, everyone! I'm very excited for HIDDEN to release! BTW, the cover is LIVE on my website! Such a great interview! 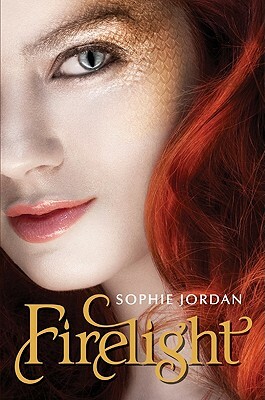 I love Sophie Jordan and would love to win Vanish because I already have Firelight. Thx for the giveaway! I have loved reading Firelight and Vanish and am eagerly awaiting Hidden because i was left with such a cliffhanger! Team Cassian! I enjoyed the interview. The books sound very good. I would like to win either one. Thanks for the giveaway. I absolutely adore Sophie Jordan…cannot wait for Hidden. Sounds like a great series to start. I'd love to read Firelight. I've seen both of these books (and author) around the web. I haven't read either book so I'm open to winning both. THANKS for the giveaway. Great interview. Thanks for sharing!! I would love to win a copy of Vanish. Thanks for the interview and for hosting this giveaway. My choice of books, should I win, would be Vanish. This series looks amazing! Please enter me for firelight. I hear so much about this series! I must read it! Ill need firelight if I win thanks! I love these books! Please enter me for either. I love dragon books but I have not heard of these. I've got to read them. Thanks for hosting this give away! Thanks for the giveaway. Love the interview. Enter me to win Firelight please. Awesome giveaway! I'm glad I was able to catch it before it closed.